We'll iron out most of the details that might bother you, as well as introduce a few fresh concepts you likely haven't considered before. The Internet is a delicious sprawl of fascinating websites, catering to our every wish and whim. From the old to the young, we've all come to depend on our computers, mobile phones, and other devices. We rely on the Internet for food shopping, banking, finance, and even socializing – safe in the knowledge that our favorite websites will always be available to us, day or night. Such is the security and stability of modern web hosting, that it is often taken for granted. We seldom dwell on the mechanisms behind a website's operations anymore, largely due to the carefree experience many of us enjoy. Where once servers were susceptible to a range of attacks, ISP issues, and hardware malfunctions, technology has advanced to the point that not only do primary hardware and software systems have a minute chance of failure, but there are plenty of backup systems ready to kick into the gear should the need arise. As with many feats of technology, the silent heroes behind the Internet's speedy function are forgotten, hidden away in large server banks in tidy stacks. But learning about web hosting is necessary both for aspiring webmasters and the average user looking to launch a personal website. There are currently over one billion websites (including sub-domains) inhabiting the Internet. Flashback to 1996 and this number was a diminutive 100,000 websites. Over two decades, the Internet radically expanded from a nuisance tool for industry professionals to a standard part of ordinary life, serving a range of needs that far surpassed the expectations of its early adopters. Websites evolved from repositories of information to end-to-end solutions for an endless number of conveniences and needs, often substituting or rendering obsolete traditional ways of buying, interacting, socializing, and generally functioning. Street retail, for example, has experienced a sharp decline of foot traffic over the past two decades precisely because of the momentous rise of online retail, with companies such as Amazon having conquered many shopping markets. Whereas in the early years, the Internet struck many seasoned professionals as more of a consumer "trend", online retail has grown to a point where delivery is no longer an obstacle, and the age-old superstitions about online credit card use are a thing of the past. Younger generations are more trusting of websites than their predecessors, even to a fault. A similar impact can be seen in the world of social media and instant messengers, reshaping how we communicate with our friends, families, schools, employers, and even the companies we purchase from. Even traditional broadcast TV has faced challenge after challenge from on-demand entertainment options provided through services such as Netflix. And with each development and added convenience, our dependency has grown. If website servers suddenly ceased to function, our world would plunge into a figurative darkness – a digital blindness caused by little more than a loss of access. Because creating the reality of these expansive websites are a host of web servers, operating quietly and discreetly, often hidden away in what are known as server banks – aisled rooms where servers run 24/7 in optimal temperatures, facilitating the readily available access we've come to expect. Modern digital life is sustained by a host of such servers. And as the capabilities of our favorite websites extend, so too must the supporting systems. Whereas in 1996, a website would expect to hold little more than a few megabytes worth of data, in information and rudimentary graphics, services such as Netflix require servers capable of hosting thousands of terabytes worth of data, with upload streaming capabilities to match. In fact, it is reported that Netflix accounts for a third of the consumer Internet traffic in North America during peak times. Every website needs to be stored, or hosted, somewhere in the world. In the simplest sense, the Internet is a web of such servers, spanning the entire globe and continually communicating with one another. This guide will explain how to attach your website to that web. In general terms, the Internet is built upon server connections. 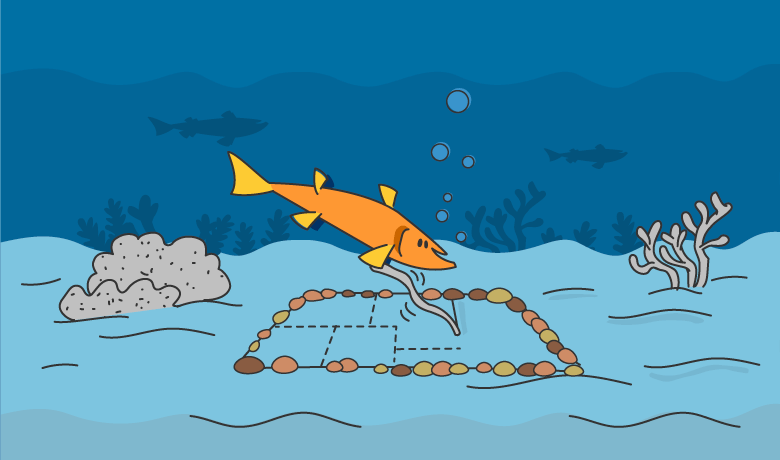 Just as a computer must first be built, housed, and powered before a connection can be established, so must a website. Before the World Wide Web, the first file transfer protocols were developed alongside the ARPANET – a rudimentary host-to-host communication network, which in its founding days primarily served electronic messengering traffic. Along with the creation of the Domain Name System (DNS), which enabled computers and servers to distinguish between one another, the ARPANET is widely recognized as the beginning of the modern Internet. The File Transfer Protocol (FTP) specification was later defined in 1973, enabling file transfers over a network connection. Back then, there were only a handful of computers connected to the ARPANET – serving a hardy crew of pioneering developers. Whereas we often take the Internet for granted, these first seminal computer-to-computer connections were ground-breaking and heralded a new dawn of possibility. Still, it wasn't until two decades later that the Internet truly began to bloom. In 1990, Tim Berners-Lee proposed to build a HyperText, which would be called the "WorldWideWeb". Essentially, this would be a "web" of "hypertext documents", or HTML pages, viewable via a browser. HTTP was already well into development at this point, and soon after, in 1991, the first webpage was created. The eponymous World Wide Web became first publicly available on August 6th 1991. In those early days, websites were but shadows of their modern offering. The first websites were written in plain HTML, and often included nothing more than text and basic color-coded backgrounds. After all, it wasn't until 1995 that the percentage of world Internet users first reached 1%. In 1991, though publicly available, it was still transitioning through an experimentation phase – as early adopters began to realize what the Internet might become. It's fair to say that launching your own website wasn't for the faint of heart, and remained exclusive to the IT savvy. Websites had to be hosted from a personal server. It was not until much later that web hosting services became commercially available, such as GeoCities and Angelfire, which were responsible for massively boosting the number of websites. Over the next decade, numerous additional hosting services became available, extending their client offering to cloud services, private email domains, and do-it-yourself block-build customizable pages. Website's capabilities flourished with rapidly improving hardware and software, as well as newer versions of the HTML protocol (such as subsequent versions of HTML). The original GeoCities offered what was then a ground-breaking 1MB of data, versus the 35KB offered by Angelfire. As computing hardware rapidly developed, so too did the potential of a web server. Audio and video became staple parts of a website's offering, which was certainly not the case in the Internet's founding years. 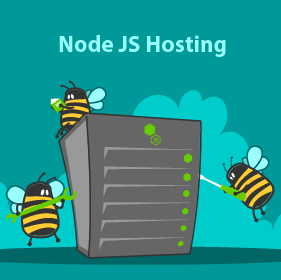 Websites increasingly became more sophisticated, and web hosting services enabled ordinary users to access in-built functions previously locked away due to the complexity of development. To put the scale of supporting hardware into context, by 2008 users were enjoying an average of 171GB of web host storage – 1,115 times more than was available a decade earlier in 1998. Throughout the first decade of the millennium, web hosting services became the standard for hosting both personal and business websites. In the latter case, hosting services helped facilitate the changing face of online business, not only by expanding online functions, for example, through e-commerce capabilities but through content distribution networks (CDNs). 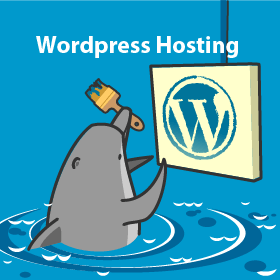 In truth, "hosting" is just part of the service provided by many web hosting companies; in fact, much of the differentiation now owes to the support different services provide in creating, maintaining, and promoting your website. 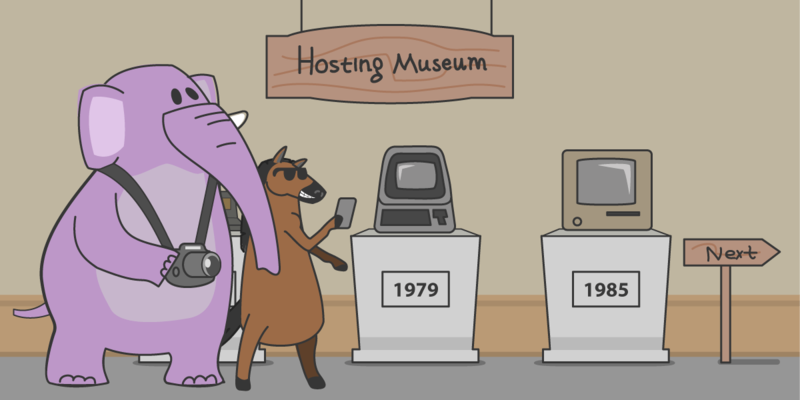 The basic principles behind web hosting aren't all that different from an ordinary computer. 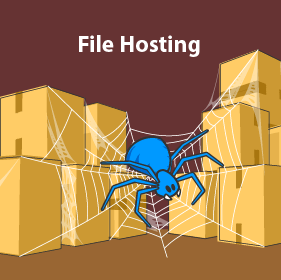 On your computer, files are stored locally and can be accessed by you at any particular time. Web pages, on the other hand, are a collection of files stored on a more powerful machine, with a connection powerful enough to facilitate simultaneous access. And there's the rub – web pages are intended for general public access both day and night. Of course, web servers (i.e. 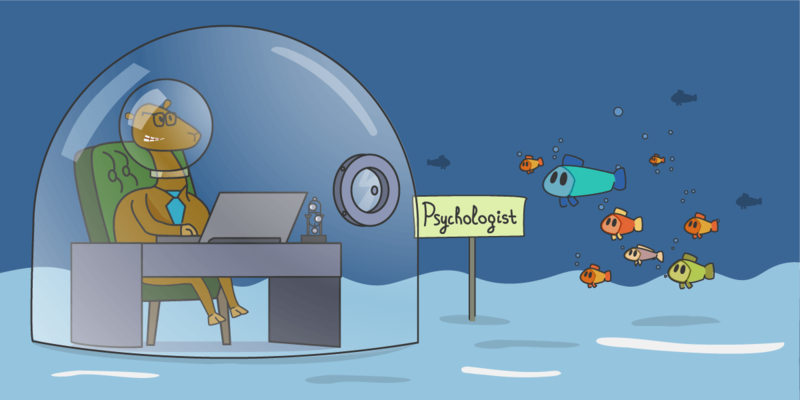 the computers responsible for hosting websites) are configured differently to personal computers, normally relying on software specifically designed for multi and simultaneous network connections. Websites are comprised of numerous web pages, which collectively (counted in the billions) comprise the modern World Wide Web. Web hosting is the term given to describe the software and systems in place to ensure the availability of each and every webpage, typically subsumed within the definition of "web hosting services" and their respective providers. Naturally, it's a huge industry. As websites have become more sophisticated, supporting systems have had to keep up the pace. Traffic for popular websites can easily exceed millions of individual visits per day, and sometimes billions. Facebook, for example, has a staggering 1.13 billion active users each day. This requires a whole lot of server power, spread across numerous server banks around the world within a CDN, which is discussed here. Websites themselves don't require million-dollar supporting equipment to be available. The cost of maintenance isn't necessarily relative to the website itself, but rather the amount of traffic it can expect to receive (and the sort of activity users get up to). The cost of web hosting corresponds to the above, with numerous options typically available for individuals, entrepreneurs, small businesses, and large organizations alike. However, web hosting is also measured by a web page's "web space" requirement. Each website will have its own web space requirement, which is typically measured in megabytes. While there are other hardware requirements to consider and functions to cater for (involving, for example, greater GPU and CPU power), many web hosting providers will place a basic value on the amount of storage required. A power source. This may appear an obvious point, but keep in mind that a server must be powered 24/7 for the website to consistently run. Likewise, it's consequently important to have a backup power source in place in case of power cuts etc. A strong, stable internet connection. Like the power supply, an always-on Internet connection is necessary to run a home website. The ISP's upload speed will determine the quality of the user experience, as well as how many users can access your website at once. Needless to say, the connection needs to be stable and consistent. An IP address is an address for your website, permitting users to locate it through the DNS. Simply, it allows people to identify your website using the domain signifier. For websites, a dedicated IP is necessary to ensure that the address does not change with each connection. So technically, yes, you are able to host a website from your home location. However, the process isn't easy, and requires resources in terms of A) hardware and software, and B) always-on PSU and Internet connections. For a long time, many businesses viewed websites as a supplement to their marketing operations – a chance for digital exposure which performed no better or worse than, say, fliers and magazine advertisements. Over the years, however, the need for a website has rapidly shifted towards necessity. Websites are a business in their own right and represent the core of any organization's digital presence, marketing, and customer outreach. How a customer perceives a company will often depend on their website, while negative impressions or anxieties can be similarly ameliorated by viewing a polished, professional webpage. Often times, a website trumps all over forms of exposure and, along with social media, can be considered the main point of contact with potential customers and a vital arena in which first impressions are molded and created. Websites are about creating identities. At least in terms of consumerism, we no longer exist in the physical world – retail is on the downfall and the tradition of relying on local companies is a thing of the past. Many of our interactions are over the virtual space, so it follows that our identities are made and exist in a similar way. Individuals, meanwhile similarly benefit from having a personal website, to showcase their hobbies, talents, or for professional purposes. The needs of such websites will naturally be limited from a technological perspective, but that doesn't mean they can't similarly benefit from a web hosting provider. Many web hosting services, such as Squarespace, offer a range of templates and design options, allowing individual users to customize their page to a professional standard without requiring an in-depth knowledge of web programming languages. Whatever the type of website required, whether it's for e-commerce or to be used as a CMS (content management system), their usefulness is in no-way confined, and the potential of websites is only on the up-and-up. 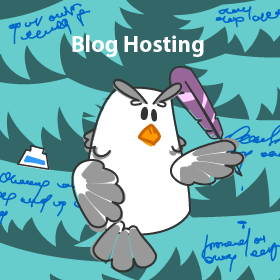 How does web hosting help? It's easy to think of web hosting as something virtual and abstract, as the systems responsible ultimately remain hidden. However, in windowless rooms across the world exist innumerable server banks, housing server machines that collectively host the World Wide Web. Through cooling, security, and high-tech backup systems, server banks can maintain 24/7 operation without interruption, meaning your website is always available. In the simplest terms, web hosting makes having a website easier. For companies, it's a simple matter of delegation; websites now have huge return on investment (ROI) potential, through increased user engagement and customer acquisition, to name just a few, and need to be nurtured via the content produced, the quality of the company's branding, tone, message, and how pleasing it is from a design perspective. For the most part, the backend of a website's operation is better left to web hosting providers, who have the necessary expertise to take care of technical issues and expand a website's capacity as and when it is needed. More importantly than this, however, is the cost factor. To install and operate servers yourself is an extremely costly affair. There's not only the capital for the hardware and software to consider, but the annual maintenance payments to keep the server running 24/7, and this isn't even counting the extra hours and work involved. All in all, web hosting provides an easier, cheaper, and simpler solution. The exception, of course, is in larger companies that can afford (and require) their own in-house hosting (Google, Facebook, etc.). 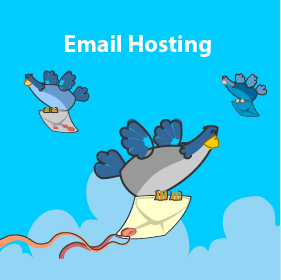 What's more, many web hosting providers additionally offer email hosting services, ensuring that inbound and outbound company email is transmitted securely and efficiently. The cost of such services usually correlates to the number of email addresses will be necessary under the desired domain (i.e. the personalized part after the @ symbol). 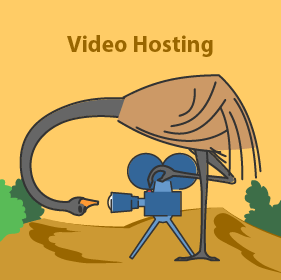 There are five different types of web hosting. While each of these serves the same fundamental function – storage and computational power for your website – they do differ in the nitty-gritty details, such as capacity and the amount of technical knowledge required. 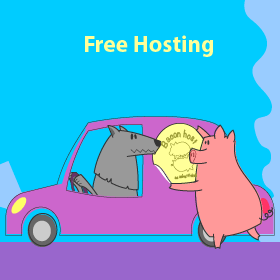 Shared hosting is the most common and least expensive form of web hosting. 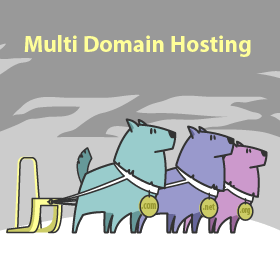 As the name implies, a computer server hosts multiple customers' websites at the same time. Naturally, coupled with the affordability of the method is a reduction in power, as each website sharing the server is afforded less capacity and bandwidth etc. This ordinarily means that a single CPU, a single hard drive, and a single network connection is used to accommodate a number of websites and their respective traffic. There is a silver lining, however. The average sever computer is significantly faster and more powerful than your home computer. They won't falter or flinch easily, and they're built to be robust and formidable. 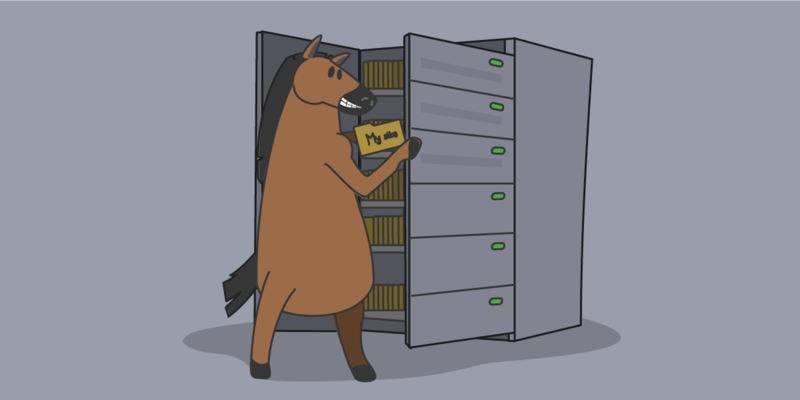 Basically, it doesn't necessarily matter that potentially hundreds of websites are stored on a single server. What matters is that the server has the hardware capability to accommodate and store the websites and that the websites do not collectively generate enough load and traffic to overload the server. 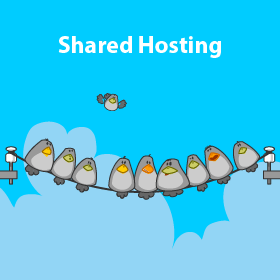 Many personal websites are hosted through shared hosting as, other than their storage requirement, they do not require plenty of system resources to host. If each website has only five to 10 visitors per day, then this is unlikely to overload a server's network capacity. Conversely, a server that hosts a website which generates thousands to tens of thousands of hits per day might have to depend on other servers to accommodate the increased traffic, regardless of whether it is all from a single website. A way to understand the needs of a website, and consequently the needs of a server, is by considering that every page, text file, image, video, graphic, and a slice of audio requires attention from the server when requested by a user. For example, every click and navigation is an added stress on the server, depending on what is being clicked on or navigated to. In content management systems, for example, this can be little more than a query made to a database to retrieve the selected content. Individually such requests will not make any significant demand of the server's capacity, but multiply these requests by the thousands, and a server may begin to struggle. Website crashes are usually related to unanticipated instances of high load and increased user traffic, resulting in the server bottlenecking and, at times, stalling or resetting. Other downsides include having your website housed with another which is significantly more popular. While many providers take measures to ensure this doesn't happen, it is possible that your website will experience performance issues on the back of another's spike in traffic. Additionally, anything shared cannot be manipulated by you alone. A shared hosting agreement usually prohibits you from customizing the hosting environment, i.e. the server, as you will not have root access. For many, this will make no difference. However, companies that have more complex needs, which in turn necessitate complex frameworks, shared hosting presents a number of limitations. And finally, increasing the number of variables into a server environment inevitably exposes your website to increased risk. Even if everything is secure on your end, vulnerabilities in other websites or software inhabiting the server can leave you exposed. This also means that any poor behavior on their behalf, such as spam emailing, can be traced back to you through a shared IP address. This doesn't make you complicit in the activity per se, but it could potentially leave you exposed. Inexpensive and easy to set up. Great option for those with minimal needs. Limited hardware capacity due to a shared server. Inability to customize or make direct changes to the server (no root access). Performance potentially jeopardized by other websites. The added risk from the shared server. Web hosts have hundreds, if not thousands, of servers that they use to host the websites of their customers. Another way they make money is to rent out a portion of their server resources and bandwidth to resellers. These resellers then act as a separate hosting provider. As a reseller plan holder, you will receive access to server resources that can be controlled and delegated by you to your clients. You have complete control over the software configuration of a server, as well as the allocation of server resources and the structure of hosting plans. 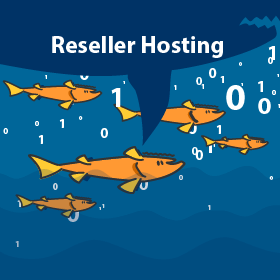 You can create custom hosting plans using the reseller tools included in your hosting account. Unlike other hosting plans, reseller hosting gives you the tools needed to create a hosting company with minimal effort. Most reseller plans come with comprehensive site building tools that allow you to set up a professional site that will solicit clients on autopilot. Every one of your clients gets their own control panel, and you can even brand the control panel and offer custom content management systems as well. Virtual private servers sit on the line between shared hosting and dedicated hosting. As the name implies, a virtual private server is a dedicated server but uses a virtual machine rather than a physical one. The main advantage of this versus shared servers is that it allows the user more control over the server environment with root access. However, it's certainly not without its own little caveats and doesn't entirely nullify the problems posed by traditional shared servers. 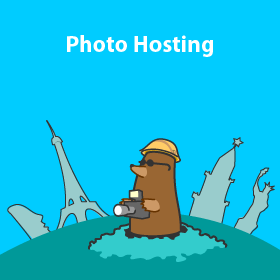 VPS hosting is best for those developing custom applications, or for those that want to make custom modifications to their server to fulfill a specific web function or are running a SaaS (software-as-a-service) business. VPSs provide improved access to server resources, which are typically more generous than those available in a shared hosting situation. 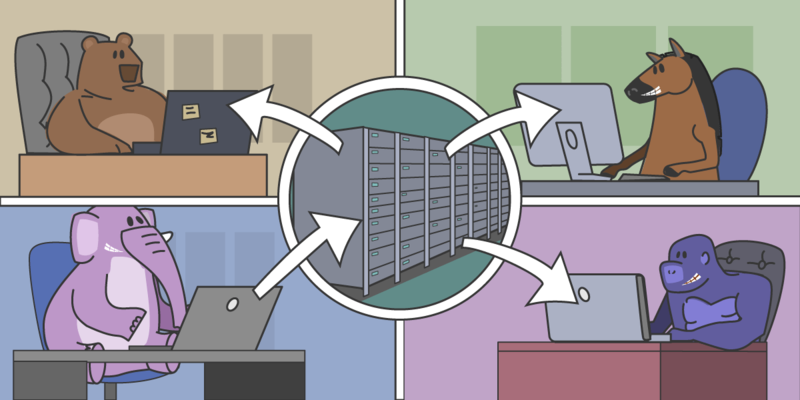 While a server computer will still have multiple VPSs, serving multiple customers, they are typically far fewer than those in shared server environments and have a more substantial allocation of resources. 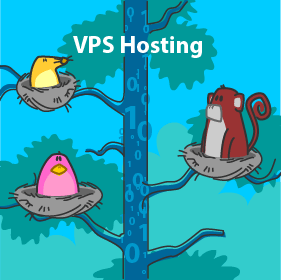 Consequently, VPS has fewer security issues than shared servers. 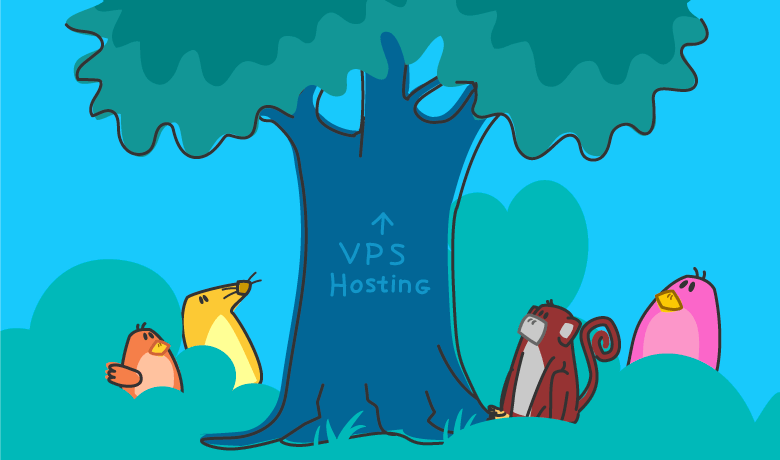 Each VPS has its own IP address, and the virtualization provides an important layer of security. Virtual servers are easy to understand: they're physically shared through machines, but virtually separate and autonomous. Still more affordable than dedicated servers. Root access with more control over the server. Remains susceptible to performance issues from traffic spikes in other servers. Lacks the substantial system resources offered by dedicated server hosting. 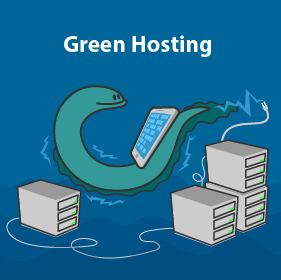 We've dressed up dedicated server hosting for a reason – it's the option that offers the maximum control over a web server alongside substantial performance capacity. This is the best choice for growing and up-and-coming websites, which will require a server that can accommodate sporadic spikes in activity. For any business, traffic spikes are naturally a great thing, and should never be stifled by hardware, software, or network bandwidth capacity limits. Alas, as with all things better and brighter, there is a price tag. Dedicated server hosting is among the more expensive web hosting options. But the difference remains simple: you are the only one occupying the server machine. You have absolute control and absolute access to all system resources. Any custom software installations, frameworks, or modifications desired can be implemented as and when you desire. The downside is that there is increased onus to manage the server. While this is also the case for VPS, to truly benefit from dedicated server hosting, it is necessary to have some technical knowledge. The server software will need to be kept up-to-date and any issues that arise will typically need to be solved by the customer unless there is a maintenance agreement with the provider in place. Full control over the server machine. Server machine can be customized as desired. Substantially higher cost over alternatives. Singularly responsible for the server. Potentially requires more technical knowledge. Cloud hosting is a form of VPS hosting that scales with the amount of traffic your website receives. Herein is cloud hosting's main advantage – it has an unlimited capacity to handle traffic spikes and removes any possibility of bandwidth or CPU bottlenecking. 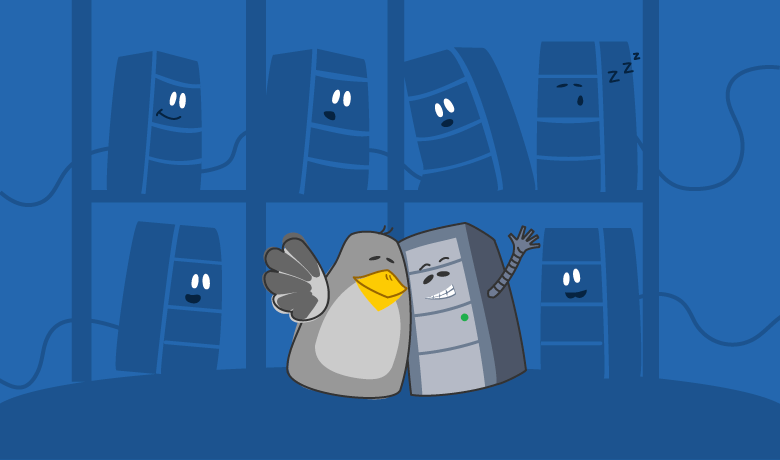 Under the dedicated and shared server methods, real machines are used that have finite limits. These limits cannot suddenly shift depending on the quantity of traffic as a single computer only has a certain amount of CPU power and bandwidth to provide. Of course, not many websites will ever hit these limits. As we've said before, these aren't your bog-standard personal computers being used. 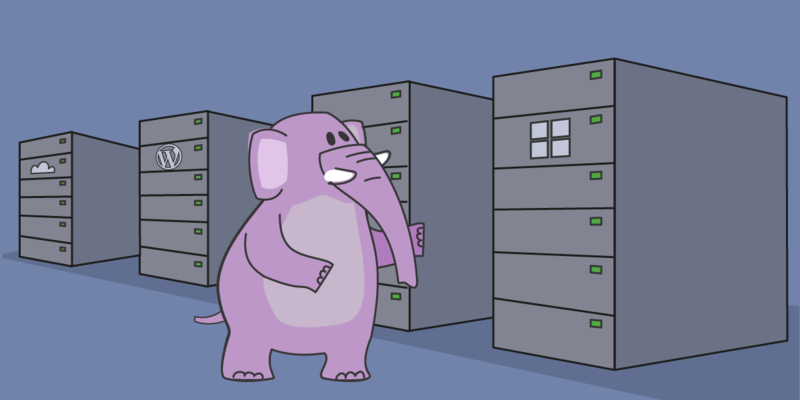 Server machines have a great deal of capacity, but even that can be capped by a ferocious swarm of visitors. Shared hosting can help websites that receive an unpredictable number of users per day, usually in the thousands and tens of thousands. Content management systems, such as blogs etc., can expect to receive spikes of traffic upon releasing new content, especially if the content is on a trending topic and has a chance of going "viral". 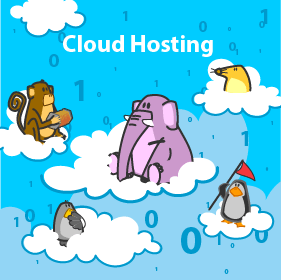 Cloud hosting is often referred to as "scalable VPS hosting" or "cloud-based hosting". The "cloud" aspect doesn't refer to the fluffy things in the sky, but the derivation is popularly used as a metaphor to describe the processes at work. Broadly speaking, the modern notion of "cloud" technology refers to a number of technologies working in unison to provide an often ubiquitous service; in this case, it is a cluster of machines able to combine their individual resources. 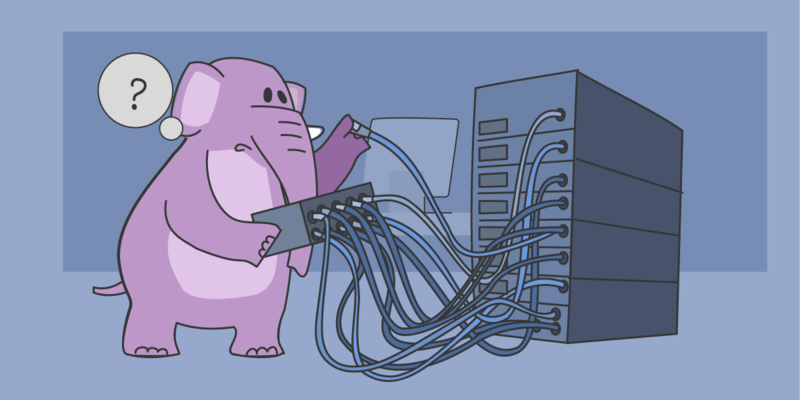 Unlike a virtual private server, this means that your server space does not exist on a single machine, but in fact on many machines at the same time. In this way, servers are able to redistribute stress and load to accommodate spikes in traffic. Cloud hosting is particularly useful for websites that have an anticipated period of growth ahead. A new company's website may expect to receive small numbers of traffic within the founding months, but rapid investment or an already established brand or IP can result in skyrocketing traffic over short periods. Most websites do not maintain a static level of traffic. Cloud hosting provides an automatic avenue for incremental growth, scaling the demands of the server cluster to the needs of the website. 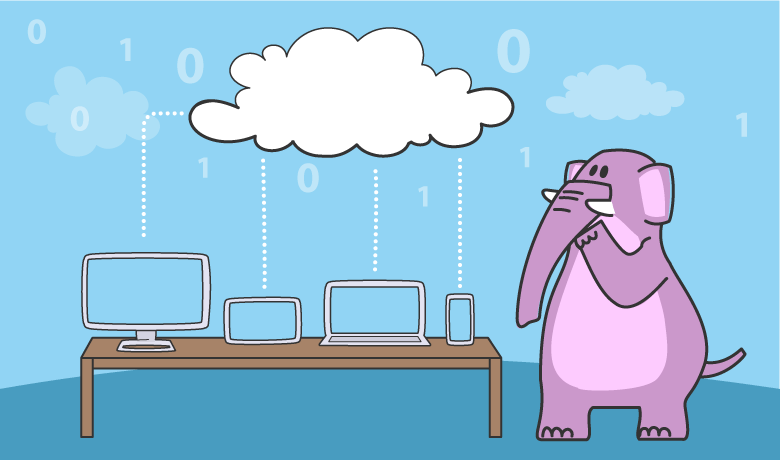 Ultimately, the quality of cloud hosting depends on the provider used. The definition of "cloud" and even "scaling" is still a little abstract, and you'll want to make sure you have a provider with sufficient resources to truly account for high traffic spikes. 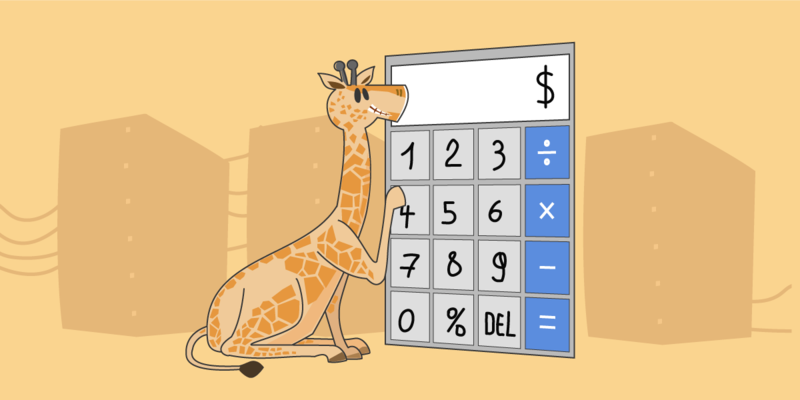 Thankfully, due to the scaling aspect, many providers will offer a similarly scaling price model, wherein customers pay for what they use and need. Unlimited capacity to accommodate spikes in traffic. Scalable cost – pay for what you use. Multiple VPSs within a single customer account, allowing for multiple instances of a website's development cycle to exist simultaneously. Great for new or growing websites. Service can vary from provider to provider. Can become costly if the website receives a lot of traffic. Mainly suitable for those with higher-than-average needs. Web hosting providers are ultimately businesses intended to allow you to reach your website goals efficiently and effectively. There are often add-on options to the above, which provide a layer of maintenance and support. 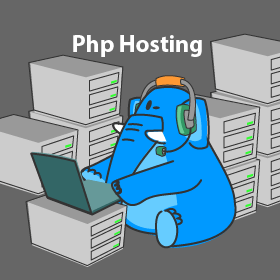 Managed hosting, for example, is a service intended for those who have complex needs, but do not have the in-house resources or expertise to engineer and maintain a server environment. In simple terms, it's an agreement for the ongoing technical support that is ordinarily subsumed within your package plan (at a cost, of course). Managed hosting covers different degrees of support, such as assistance with server configuration, pre-installing software or custom applications, or even ongoing monitoring and upgrading. This doesn't necessarily exclude you from access to the VPS or dedicated server; it simply means that somebody external is on standby to provide assistance as and when it is needed. Within such agreements, a customer can have as much control over their server as they desire, removing themselves from the complex aspects of server maintenance, configuration, or software installation. Lastly, if your needs are particularly nuisance or unique, for example, by dealing in a specific language, platform, or framework, some providers will also offer special packages. These are normally cases in which a custom toolset may be required, to accommodate out-of-the-ordinary requirements. For personal or individual websites, such as portfolios and blogs. 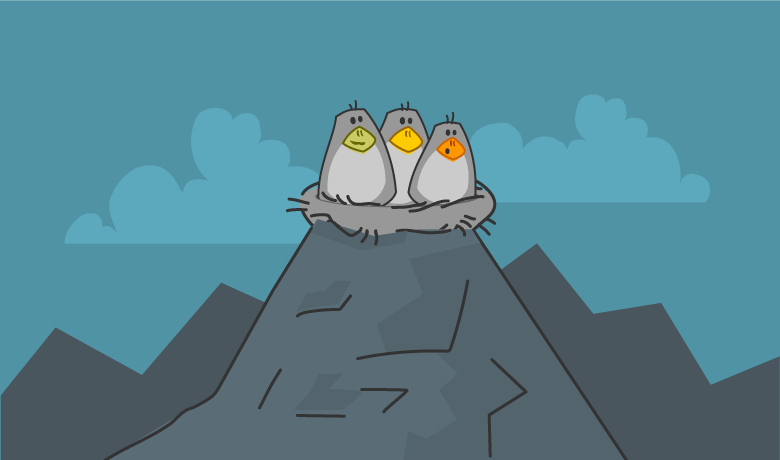 For starting companies or budget-strapped businesses creating their first online presence. For entrepreneurs looking to start up a small business. For web design agencies to bring in additional income and simplify the process of managing clients' websites. For new online businesses or newly launched company websites. For medium to large organizations able to gauge their current website requirements. For online stores or major blogs that anticipate semi-high volumes of traffic within peak periods. For an established business with a large online presence. For those anticipating an extended period of growth and have in-house expertise. For organizations or individuals able to benefit from complete control over the server environment, or need to install custom software or applications. For those anticipating very high amounts of traffic, or supplement their website with content, for example, that may result in sudden traffic spikes. For those developing custom applications or can benefit from having multiple VPSs live simultaneously. What am I buying from a web host provider? Server hardware. This pertains to the capital costs involved in purchasing server machines and ensuring that the machines are up-to-date and powerful enough to support the hosting websites. 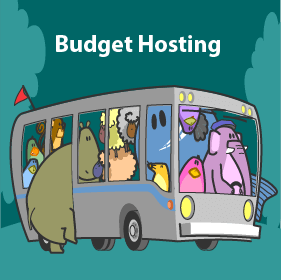 As with hardware, the software presents a capital cost for the web host provider. For Linux (and in some cases Windows), much of web hosting software is open source and therefore free. However, this is not always the case. Both CPanel and much of Windows hosting is proprietary software (such as Windows Server) that must be licensed and paid for. Internet connection. This will vary from provider to provider and also from the level of plan opted for, but Internet connections present an ongoing cost. This is not only for the actual connection, which will typically be magnitudes greater than any seen in a home connection but for the routers and cables. The level of support received depends upon the package opted for, with differing degrees of maintenance, configuration, and 24/7 hotline support. That said, support should always be included, at least at some level. Even a marginally more expensive option with minimal support is going to be worth it over one without, especially if you yourself or your organization have limited technical expertise. What to look for when selecting a web host provider? A reliable website is a successful website. A good web host provider can make a huge difference to your website's success, and help you to reach your goals. The Internet is a virtual bazaar of web host providers offering their services, so it's useful to know what to look for before you start searching. It will never be a simple matter of selecting the cheapest provider. The whole point of hiring a server is having a reliable and powerful server machine, which does not compromise on delivery. The difficulty is that unlike many technology purchases, we cannot see or interact with the servers we hire. All we have to go is the information the company provides, which means that credibility and trustworthiness is everything – it's important to know what the company is spending the fees on, and whether it's reinvesting a portion into the server infrastructure. It also means that for the best deals, comparisons should be sought between all available providers, taking a number of factors into account. Remember, it's vital not only to consider your current needs but your potential future needs. It is good to avoid switching provider soon after a website launch, so an option that can scale (if only partially) with your website's success should always be given due consideration. The amount of available web space is a mainstay differentiator between server options. Many providers have a policy of "unlimited" disc space on their premium plans, which is a tad of an oversell as many websites take up only a small amount of space. For example, while many spin disc hard drives have capacities up to 5TB, the average website will be no more than 20MB in size. As a result, many providers do not measure their web space offering in byte sizes (largely because the figures won't seem overly impressive to anybody even remotely tech savvy). Normally, web space is detailed in the number of pages permitted, which can be anything up to 20, 30, or unlimited. It's important to remember that even for websites with limited needs, such as blogs, it is easy to occupy 20 webpages worth of space. Blog entries, for example, will be counted as a separate web page, so it's important not to limit the amount of content you can have out at any one time. Like web space, bandwidth is often offered in "unlimited" packages. And also like web space, many customers overestimate their needs. For websites with basic user traffic, a relatively diminutive bandwidth allowance is required, in the approximate region of less than 2GB. Many providers rely on customers underusing their bandwidth capacity, and will happily look to sell an unlimited package to websites that have no need. If users do not download or upload from or to your website, it is likely you'll be able to get away with a small amount of bandwidth allowance. Everybody loves speed, and the Internet is a happier place when everything loads, downloads, and uploads quickly. Thankfully, gone are the days of the dreaded dial-up Internet which promised stunted speeds and sporadic disconnects. With the general ubiquity of fiber optic in the Western world, people have become more speed obsessed, not least because much of the Internet's joy depends on it (nobody likes to watch videos buffer). If the incentive of keeping users engaged in your website isn't enough, then there's also SEO to consider. Google now includes speed as part of its quality scores. 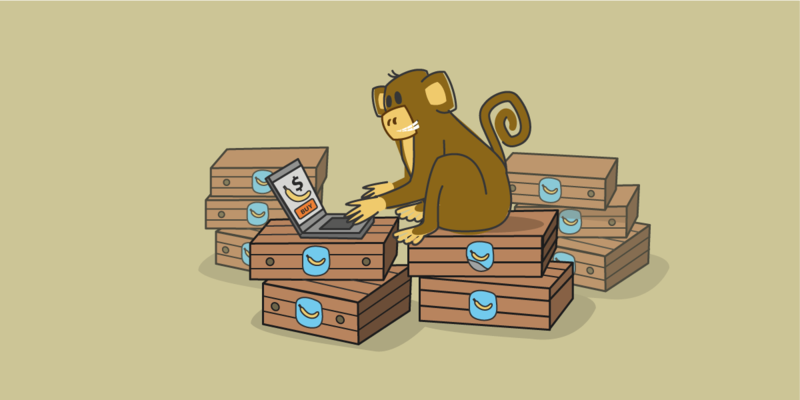 The tricky side is that every web host provider is keen to suggest their speeds are lightning fast, and often without specifying the exact speeds involved (usually because they cannot be guaranteed and are variant depending on the traffic on the overall amount of traffic to the server cluster or machine). But speed isn't just related to the Internet connection, but also to hardware. As with Internet speeds, it is difficult to precisely exact the sort of performance you can expect from any particular provider, other than acquiring specifications for the server machine. Such factors as whether the server runs on SSD (Solid State Drives) or HDD (hard disc drives) will make a huge difference to the speed in which a server is able to process requests and information. Other clues to overall server speed include location (i.e. how close the servers are to your target audience) and whether the web host provider works in partnership with a CDN. If so, images, media, and other large resources are offloaded to faster servers, which distribute them across a network of servers and help provide faster speeds to those living in more remote locations. Reliability of a website is paramount to its success. The digital world is a 24/7 world; we expect access to websites 24-hours a day, seven days a week. And as we've grown to expect that our favorite websites will always be available to us, we've also become more unforgiving when they are not. A website that often has loading issues will repel otherwise interested users. It is necessary to ensure that not only can the provider guarantee reliability through hardware, but via computing power and bandwidth. For dedicated servers, it will be possible to run free monitoring software to measure both the computer's performance and its upload and download speeds over an extended period of time. Failing this, it might be possible to request a monitoring report from the provider. Either way, the need for reliability undercuts the need for a cheaper provider. It might be worth paying more for a provider that does not cut corners or overload their servers with too many websites/customers. Many web hosting providers do much more than web hosting. Squarespace, for example, offers website builder features to their platinum users. Unlike WordPress, which is an open-source community of templates and plug-ins for builders, SquareSpace only offers its services in an all-inclusive package, meaning that their proprietary website templates can only be utilized through a website hosted on their servers. It is worth making sure that for any website builder, you understand the costs involved and the limitations in place. 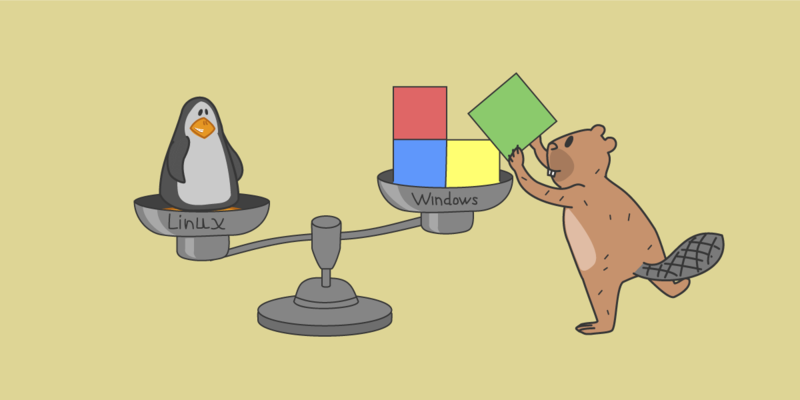 One of the most important, but not always obvious, points of consideration is which operating system to choose. As with a desktop computer, laptop, or mobile phone, a web server requires an operating system to run. 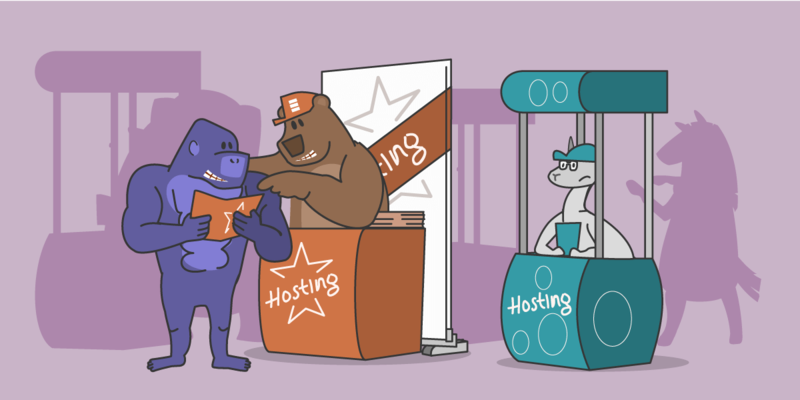 For shared hosting, you won't have to worry too much about this. 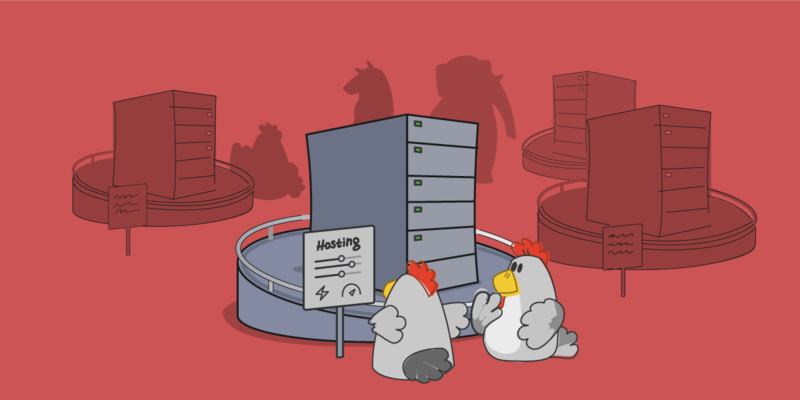 However, it is an important decision for VPS and dedicated servers. 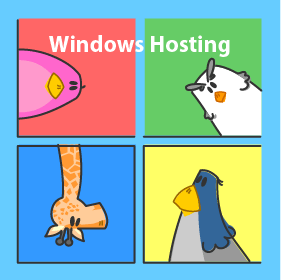 There are two major operating systems for web hosting – Windows and Linux. 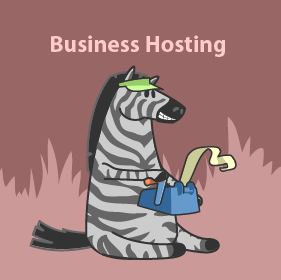 That said, if the web host provider only offers one of these types, there's no need to worry. For many websites, it will not matter which is used as web pages will appear exactly the same either way. However, for more complex needs, certain apps and plug-ins run better on different operating systems. For those used to OSX (Apple's operating system) and Windows, Linux might appear a bit daunting – it's an operating system loved by industry professionals and those with the knowledge to use it, and disliked by those preferring a simple, user-friendly interface. But Linux is fantastic (and the standard) operating system for servers. 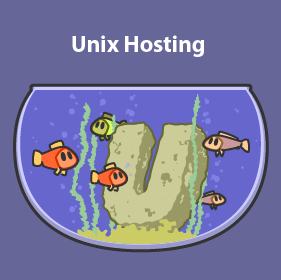 Many web hosting providers will provide installation tools to help you set up, or pre-install Linux as part of their package. Generally, the only reason to run Windows is to access proprietary software that will only run on that particular operating system, such as .NET, ASP, and Microsoft Silverlight. Linux's biggest advantage is that it is an open-source operating system, and is the go-to option for anything written in PHP or built with Ruby or Python. A common web development method is LAMP stack: Linux, Apache, MySQL, and PHP, the latter three of which refer to the web server, database, and application language respectively. While we've been talking a lot about text files and basic media, modern websites are of course considerably more complex. The only static page websites are those forgotten on ancient service machines, left to dwindle into anonymity. The modern web is full of interactivity, which doesn't only involve high-resolution media. Databases, shopping carts, online communities, and plug-ins for major services such as PayPal and Google are just some examples of features expected in modern websites and can make a huge difference to your website's success. When choosing a web host provider that offers extended services – such as configuration and maintenance – it is important to make sure they are able to provide a range of plug-ins and applications, all of which are available through customizing a website's script. Of course, if you've opted for a dedicated or VPS service without an extended package of support, much of the above will still be accessible, but you'll likely need to hire a web developer with the required knowledge. Scripting via a programming language isn't easily accomplished by the everyday layman, and typically requires a strong background with a particular programming language (such as PHP, ASP.NET, Java, or Python). 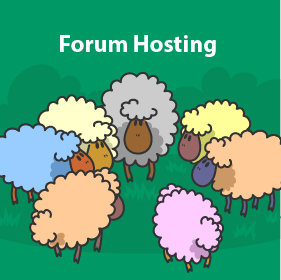 While most web host providers will provide support for such things as forums, bulletins, and e-commerce functions as standard, it is worth double checking before committing to an agreement. Forums, content, and accessible media all require databases for storage and retrieval. Basically, everything extra included in your website technically requires something extra from the server and server provider, and implementation will require expertise. A WhoIs record is a publicly accessible record that includes information related to a website, such as an owner, contact number, email address, and domain registration. It's basically a directory of websites and their respective owners/controllers, making it easy for anyone to discover the faces and names behind each website. Domain privacy is an opt-in protection that will replace the WhoIs record; instead of automatically listing the website owner's information, it will provide the information for a forwarding service, thereby obscuring your personal information from the public eye. This is an additional layer of protection that is worth acquiring and can either be requested from the web host provider or will come as standard. Spammers continuously crawl the Internet for personal information they can use, which can include a WhoIs record. Generally, WhoIs is rarely used for benign or innocent purposes, and often creates more problems for website owners. Security is a concern shared across all Internet users, companies, and providers. The Internet is awash with supposed guides to hacking websites, and the idea of gaining access to a server and its data – including user information – is a huge temptation for would-be fraudsters. Anybody that watches the news will have seen high profile cases in which large corporations have suffered from a data breach, losing sensitive customer information. Such examples have underscored the need for website security. Suffice to say, neglecting security can be financially perilous for any company and have direct consequences on their brand and consumer trust scores. If you're running your own dedicated or VPS server, make sure to take necessary security precautions. This includes examining the sort of software used, including operating system, and any potential weaknesses therein. Additionally, bugs in the programming script can be exploited, and represent one of the most common methods of hacker infiltration. Lastly, double checking with your web host provider to guarantee the security of the server site, including investigating exactly what security protocols are in place to limit access. Web host providers are no strangers to the importance of digital security and should be more than willing to set your mind at ease. If you have a configuration and maintenance agreement, make sure to cover in detail exactly what security will be in place on the server machine. For websites with high traffic volume, it's also worth checking what measures are in place to protect about DDoS (Distributed Denial of Service) attacks. Everybody hates hidden costs, but sadly they're found everywhere. 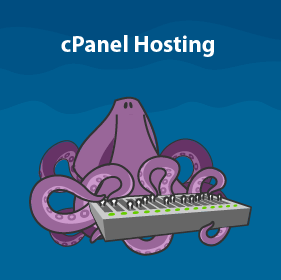 Web hosting is no exception. 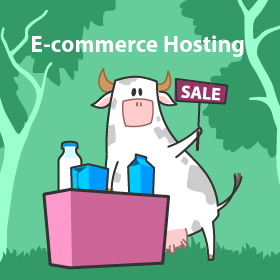 Before any hosting service is agreed, ensure everything is included in the listed price. This includes charges related to domain names and email services. Additionally, VAT may or may not be included within the advertised price. Lastly, while many services are kept within a monthly or annual fee, many hosting providers will also charge a setup fee. Such fees can often be substantial and should be clarified before any agreement is made. Before choosing a web hosting service, be sure to learn about the exact bandwidth limits and the charges for exceeding that limit. Many providers will knowingly provide insufficient bandwidth, and rely on their customers exceeding the limits. Charges can be on a per MB basis, which for a website with any reasonable needs, will become expensive quickly. It's better to have more bandwidth and not need it, than less and need more. Remember to plan not only for your present needs but for your perspective and future needs that will increase as your website grows. Finding a proper web hosting provider is, perhaps, the most important aspect of creating a website, and if you don't give it the proper attention, you're likely to suffer a lot of headaches later down the road. 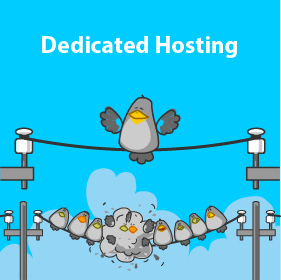 There are plenty of hosting providers on the market, and the largest ones offer an extensive range of services with different packages and price brackets. These include options for the services we've already talked about – shared, reseller, VPS, dedicated, and cloud hosting. Now, it's time to get down to brass tacks and choose a provider that can cater to your specific needs. The below list of web hosting providers has nothing to do with our ratings. These are just the most promoted web hosts on the market right now. Whether they are good or bad, you have got to figure yourself. We don't recommend anyone. You should always start your research here.